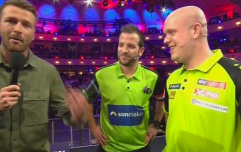 Michael van Gerwen is in the groove. 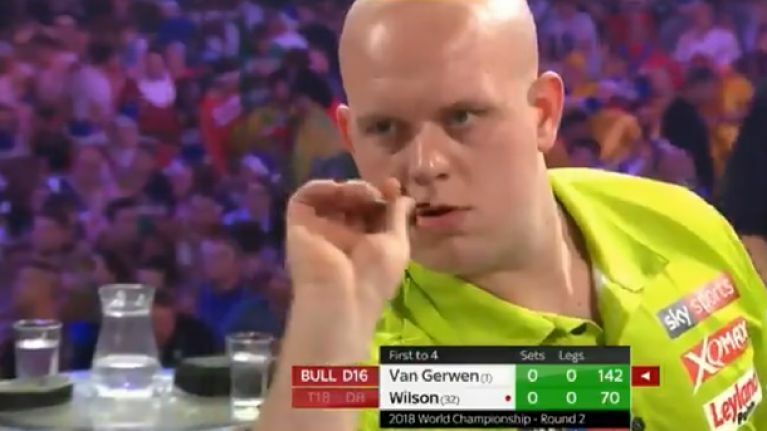 And when Michael van Gerwen's in the groove, with his steely eyes fixated on the board, with his veins popping from his head and with the darts arrowing from his fingers to whatever destination in the world he wants, nothing else really matters. Because his opponents can try, they can do whatever they want but really, we know and they know that they're only fighting a losing battle. James Wilson was fighting a losing battle from the word go in Ally Pally on Friday night. You'd have to feel for the 45-year-old Huddersfield native, because when the Dutchman is in beast mode, there was actually nothing Wilson could do to stop it. Van Gerwen coasted through the second round clash. He averaged 108.65 – the eighth highest this tournament has ever seen, and he reminded us all why he's the overwhelming favourite for this competition. For God's sake, the 28-year-old didn't even drop a leg. He was faultless, Wilson was powerless. The two-time champion won 12 legs without a response, seeing off his opponent in less than 24 minutes of action. We felt the pain, Wilson felt the pain, but that could have happened to any man and though it must have hurt in the immediate aftermath - he will soon come to terms with the absurd height of the challenge that he faced. It was actually frightening, just like the crude and vigorous intensity with which he celebrates each perfect dart, and mighty Mike means business. That was perfect, that was bloody brutal.